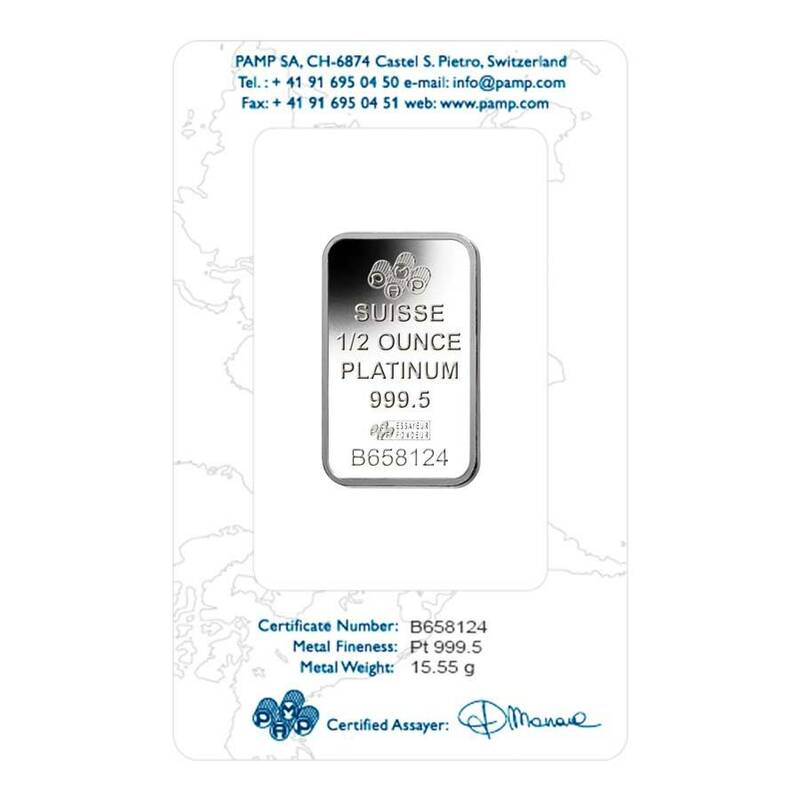 Bar has a unique serial number located on Assay card. 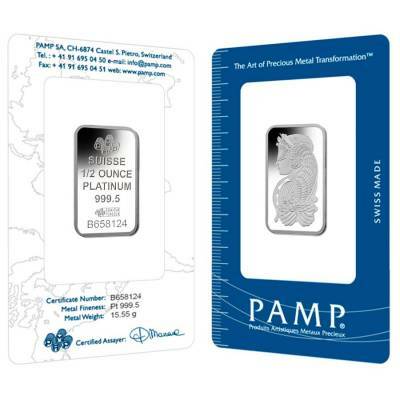 This platinum bar is made of half an ounce of .9995 fine platinum. 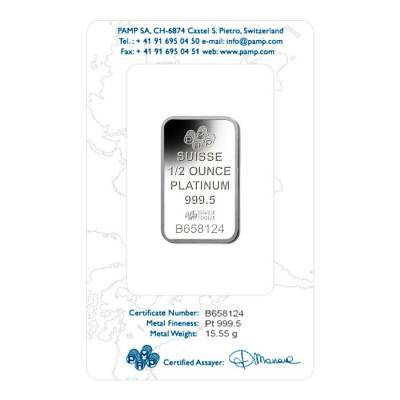 It is sealed inside an assay card which insures its weight, purity, and authenticity. 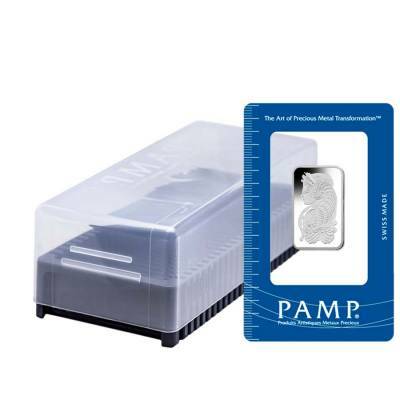 As a PAMP Suisse product, it meets the high standards of this popular refinery. 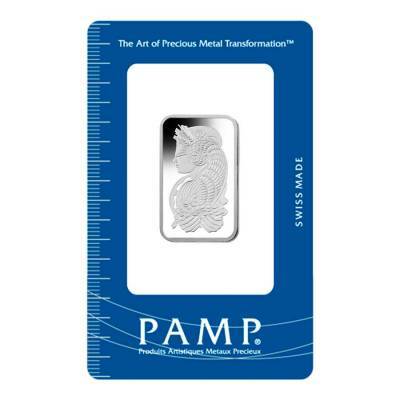 The obverse features the Lady Fortuna design, which is shown on many PAMP Suisse bars. On the reverse is the PAMP Suisse logo, along with the weight, purity and unique serial number. Its dimension are 31 x 18 mm and a thickness of 1.30 mm. The service I've received was beyond what I expected. They were courteous, friendly and knowledgeable. The sales reps were able to answer every single question (and there where an abundance of them) to help me feel confident with my investment. It was delivered within a few days and couldn't ask for a better company to work with. I was referred by clients at work to try Bullion Exchanges and am happy I took their advice. For every $1 spend, you will earn 1 Bullionaire Buck which is equivalent to $0.001 off a future purchase. 487 BB = $0.49.